Dr. Araujo is an experimental condensed matter physicist whose research focuses on Near-Field, Raman and Photoluminescence spectroscopy of 1D-materials (single-, double- and triple-wall carbon nanotubes) and 2D-materials (such as graphene and transition metal dichalcogenides). He is also interested in the physics of many-body interactions (including electron-electron interactions, phonon-phonon interactions, and electron-phonon interactions) and their influence in optoelectronic devices. He has also been working on the growth of graphene using the chemical vapor deposition technique. Dr. Araujo received his doctoral degree from the Federal University of Minas Gerais, Brazil in 2010. 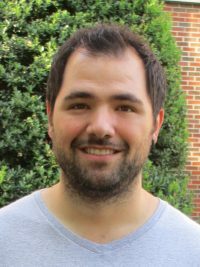 He joined the faculty of The University of Alabama in August 2014.